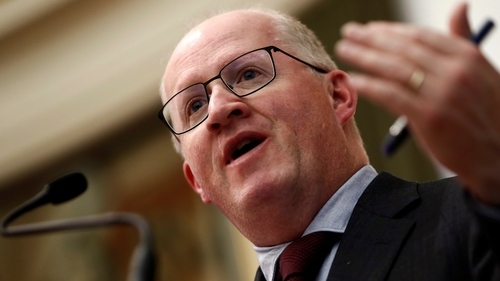 Central Bank Governor Philip Lane has again warned that a sudden, no-deal Brexit scenario would have immediate disruptive effects that would permeate almost all areas of economic activity in Ireland. "The agri-food sector would be disproportionately affected, with a corresponding outsized impact on rural regions, especially near the border," Professor Lane said. He added that the Central Bank's modelling work suggest that a disorderly Brexit could reduce the growth rate of the Irish economy by up to four percentage points in the first year. The Central Bank Governor made his comments in an address at the 2019 European Financial Forum in Dublin Castle this morning. He said that in addition to the direct disruption to international trading arrangements, adverse developments in the UK economy have a general spillover impact in Ireland. Professor Lane also said that a further significant depreciation of sterling against the euro would adversely affect those firms dependent on the UK market, even if there are some offsetting positive effects for domestic firms through the favourable impact on the terms of trade. But he said because the work that the Central Bank and others have undertaken, the immediate cliff-edge risks of a hard Brexit have been largely addressed. He also said the Government's budget would be able to absorb such a shock, meaning there was no need for "pro-cyclical fiscal tightening". "In terms of financial stability risks, our assessment is that the improvements in the resilience of the financial system over the last decade provide a vitally-important buffer," Professor Lane said. "Taken together, the more balanced macroeconomic profile, the restructuring of the Irish banking system, the much-higher capital and liquidity ratios, the decline in the non-performing loan ratio and the more intrusive supervisory regime mean that the capacity to absorb negative shocks is much greater than in the past", he added. Governor Lane also told the forum that Brexit will lead to a fundamental shift in Europe's financial services sector regardless of the terms of Britain's withdrawal from the European Union. Major financial firms have shifted some operations away from London in order to keep them within the EU post-Brexit, with a number of cities, including Dublin, Frankfurt and Paris, benefiting from the move. Professor Lane said this will lead to a greater spread of trade across member states, as opposed to the traditional "hub and spoke" system that put London at the centre of the sector's activity. "Of course there'll be lots of trade between the EU27 and the UK after Brexit," he said in his address to the European Finance Forum, which is being run by the Financial Times and IDA Ireland. "But there's going to be a lot more trade between the EU27," he said. "Distribution of financial services across several big cities in Europe is really going to lead to a real change in the geography of finance," he added. This would create challenges alongside opportunities, and will force countries to work together even more closely in order to ensure adequate supervision of firms, he stated. The European Financial Forum, presented by the Financial Times in partnership with IDA Ireland, provides an opportunity for IDA to engage with potential and existing clients in the international financial services sector. The forum brings together international and Irish industry executives, policy makers and regulators to provide analysis on the main business and regulatory issues that the financial services industry should consider in 2019 and beyond. Keynote speakers at the event include Taoiseach Leo Varadkar and the Minister for Finance and Public Expenditure and Reform Paschal Donohoe. 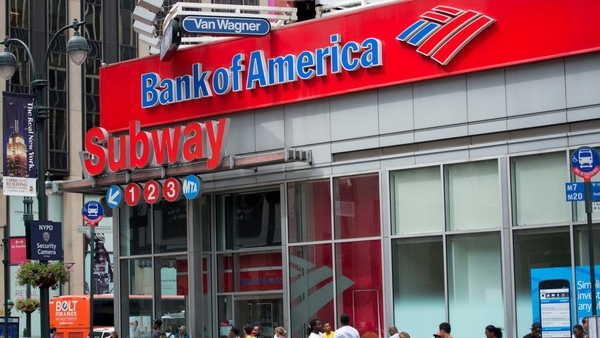 Citigroup's CEO Michael Corbat will also address the event, along with Anne Finucane, Vice Chairman of Bank of America and Ronald O'Hanley, President and CEO of State Street Corporation.